about her latest track, Something Alive, and the story behind it. The song’s video has just been released so I was keen to talk about the song and see where she is heading next. Miners discusses her path into music and which artists are important; how crucial N.Y.C. is a base and which rising artists we need to get behind. Miners tells me about her upcoming E.P. and what she wants to accomplish by the end of the year; if there are any gigs coming up and which albums have influenced her most – I ask whether she is coming to the U.K. and how she spends time outside of music. Hey, Sam! My week has been great, thanks! Working a lot and I’m adjusting to this weird fall transition happening in N.Y.C. Sure! I’m Jay and I am what I like to say a songwriter singing her own songs. I grew up playing Classical piano, but fell in love with writing songs when I was about fourteen. It took me a while, but I started performing these songs on stage and found it exhilarating sharing them. Now, writing and performing music is my main work. I’ve just wrapped up recording an E.P., dropped the first single off of it and am gearing up to play some more shows. Something Alive is your new single. Can you reveal the story behind the song? I wrote Something Alive about a year ago and it’s inspired by the book I’m working on now. The story itself is about a young Asian-American woman who is both inspired and haunted by her mother, who was a renowned journalist and has presumably died. The book frames as a murder mystery, but it aims to explore the main character’s identity as an Asian-American woman today, very much trying to figure out who she is. It’s still in the works but its themes, as well as my own experience, definitely influenced this song and music video! I understand an E.P. is coming along. What sort of themes and ideas influenced it? Yes! The E.P. audio is done and we’re rolling it out with a few singles and some video/visuals - and the full thing will be released in January 2019. The record is very much centered around the theme of making, creating and art. These songs were written during a period of pretty big change in my life - I was in my first really committed relationship; I left a full-time job to focus on music and I was spending a lot of time alone just trying to write songs and stories. I came to many realizations about my own work; like what inspires me and how to keep productive. That process - which is messy and uncertain and constantly changing but so, so fulfilling - definitely bled into these songs. Which artists do you consider to be role models and inspirations? My parents’ C.D. collection definitely inspired me growing up; I gravitated towards classic singer/songwriters like Simon & Garfunkel, Joni Mitchell and Elton John. 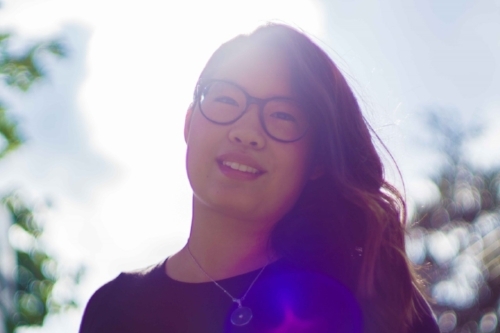 Vienna Teng had a great influence on me when I was a teenager - it was one of those things when you see someone who looks like you - doing the thing that you love to do, which was writing songs - and you think: ‘Hey, I could actually do this’. You don’t realize how much of an impact someone like that has on you until you start pursuing it, either. How important is New York regarding your style, songwriting and passion? Do you get driven by the people around you? New York definitely plays a part in my songwriting. When I was a teenager, all I wanted to do was write songs about New York, which is honestly what fuelled my entire first E.P. I love living in New York: there’s a way it makes you feel both lost and inspired at the same time. There’s also this hustling feeling you get from living here,where you feel like you always need to be doing something more. It keeps you on your toes, for sure. Release two more singles off of the E.P., each accompanied by visuals (both art and video) that really enhance the meaning of the songs. Play more shows and connect with listeners and other artists. Write new music. And, hopefully, take a really long nap in between all that. My first show at Rockwood Music Hall in April 2017. One of the most heart-warming feelings I’ve ever had on stage was when I played the last song, Sunlight in Your Eyes, and at the end. I directed the audience to sing “oohs” with me. And they were all singing, and I was singing, and the room just filled up. There’s a video on YouTube of this. I’ll probably hold that memory close for a long while. Legendary album. Taught me good melody lines and harmonies. Every track on this album is strong. I play it pretty often and I’m never sick of it. There isn’t a favourite track off this, but right now I’m really feeling You Make Lovin’ Fun. When this album came out, I was sixteen and I remember, one evening, I was lying on my bedroom floor with headphones on and just had this album on replay. I gravitate back to this album often. Each song is intricate, well-thought-out and has something to say. St. Stephen’s Cross and Stray Italian Greyhound are my top off the album – although, this rotates often. This has been a recent favourite. Inara’s voice is heavenly and each song is sweet and interesting. Crazy is my go-to off this album – so beautifully crafted, lyrically and musically. Probably Joni Mitchell - and I’ll ask her questions about songwriting all day. Lots of tea and the occasional birthday cake - even when it’s no one’s birthday. 1) Keep working on your craft. I really had the opportunity earlier this year to focus on songwriting - I challenged myself to write a song every week for about three months (and I did). Most of those songs were thrown away (the good ones landed on the new E.P.). Scheduling myself to produce work continually was new, frustrating and exciting and it really gave me a chance to realize that there are so many ways for me to foster growth as a musician and writer. 2) Have confidence in your work and don’t put anyone on a pedestal. Getting rejected is part of the game and getting a little discouraged by it is, too. But, get back up; move on to the next and keep fighting for your art…because you are your biggest advocate and you know you’ve made something worthwhile. I’m planning to play a few N.Y.C. shows before the end of the year. 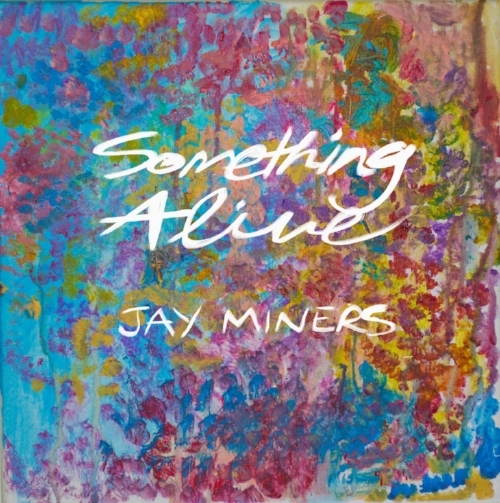 All my show dates are available on my website at jayminersmusic.com/shows. I’d love to! That would be a dream. It probably won’t happen in the very near-future but I see it happening soon for sure. Treya Lam’s album Good News is great. Joy Williams is dropping a new album soon. Artists that I’ve crossed paths with that are really great – Samantha Rise and Sarah Kang. Also; Alex Wong, who is working on his second album right now, is one I’m excited about that. When I step away from music, I usually spend time with my family. If I get an evening alone to myself, I’ll snuggle on the couch and fall asleep watching Grey’s Anatomy. That’s the best.